Recent studies rank Egypt in the top 10 fastest developing economies in the coming decade. According to economists, Egypt is expected to have the strongest economic growth in the Arab world in 2019 with a growth rate ranging between 5% and 6%. Egypt is anticipated to gain a substantial amount of foreign direct investments (FDI) by 2019-end. FDIs are expected to reach US$ 20 Bn by the end of the government’s development plan in 2022, driven by ongoing economic reforms. North Africa is likely to grow at a rapid pace globally in 2019 as regional governments continue to invest in infrastructure projects. 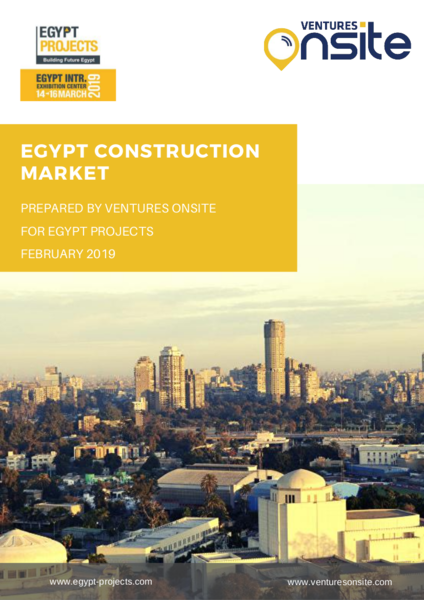 According to Fitch Solutions, Egypt's construction sector is projected to grow by 10.8% year-on year in 2019 as government investment backs a packed pipeline of projects aimed at addressing inadequate infrastructure and the needs of fast-growing population, with numerous power, commercial, industrial and transport developments under construction. Searching for a customized report that is tailored to your business? Already a subscriber? Please log in to download this report. Subscribe to Ventures ONSITE today to access this report and hundreds of others. First Name Last Name Email Would you like to join our mailing list?